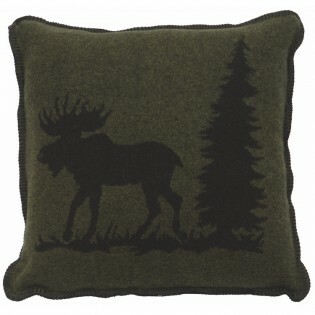 Pine Moose Accent Pillow. Made from a unique wool blend fabric. Colors are olive and black with touches of deep gold and red/brown. 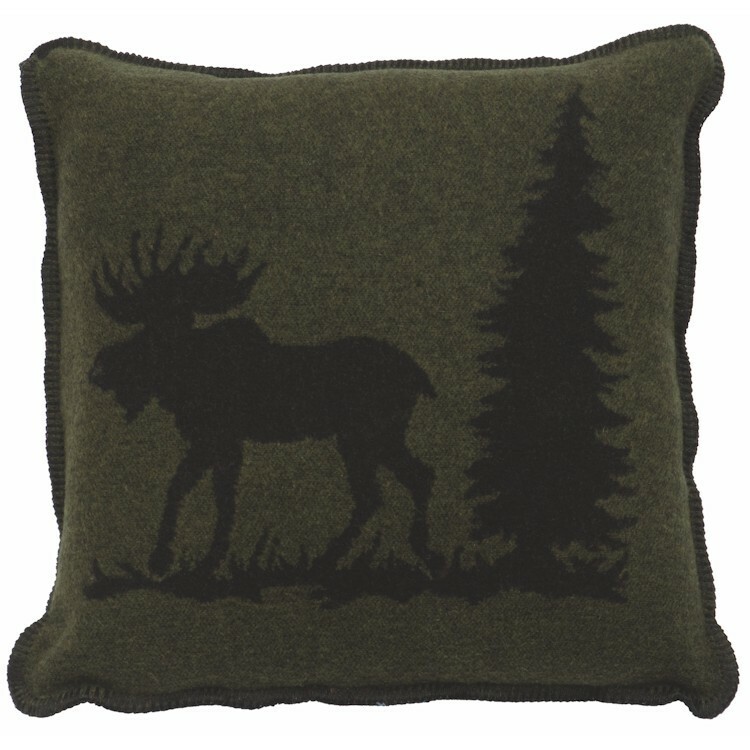 Pine Moose Accent Pillow is made from a unique wool blend fabric that is 30% new wool, 25% acrylic, 25% viscose and 10% polyester. This rustic moose accent pillow measures 20" x 20".